Over the years I’ve experienced a brand across many events and tastings, and it only seems right to combine what I’ve learnt into one piece, so without further ado, I give to you The Macallan. In 1824 Alexander Reid obtained one of the earliest licences to distil whisky and leases eight acres from the Earl of Seafield to establish The Macallan distillery. In 1847, a partnership between James Priest and James Davidson took ownership of The Macallan, but in 1852, James Davidson became the sole owner. The distillery was expanded toward the end of the nineteenth century and renamed Macallan-Glenlivet, but in 1880 the ‘Glenlivet’ suffix was removed. From the 1950’s onwards, The Macallan has been greatly extended; In 1961, The Macallan bought Easter Elchies House and the adjoining Estate that the distillery was housed in. In 1965 it doubled its stills to twelve, to eighteen in 1974 and in 1975 it further increased them to number twenty-one. This was down to great demand, for The Macallan had become very sought after. Roderick Kemp acquired the distillery in 1892 and traded on the London Stock Exchange in 1968, but in 1999, the Japanese company Suntory bought out a quarter of the stocks alongside The Edrington Group after the Highland Distillers had bought out the remaining stocks in 1996, ending the Kemp family interests. The distillery produces a number of expressions in its core Sherry Oak series, the most generally available being the 12yr, although the 18yr is widely distributed, alongside a 10yr cask strength expression. Expensive 25 and 30yr versions can also be found. More recently, starting in 2004, The Macallan for the first time started to offer single malt expressions vatted with whisky matured in used casks other than ex–sherry casks as part of the Fine Oak range. Slight vanilla tint with a nose of fruits and honey. On the palate it has a red berry display with a slight oak edge culminating in a short finish. On the nose the strong aromas of dried fruit with a slight peat smell mixed with cinnamon. The taste of the dried fruits became bolder on the palate, with a spicy wood smoke that lingers slightly. A slight harsh tone but it soon mellows out into a nice finish. Soft vanilla and ginger on the nose, with a hint of barley following. Dry dates, apples and cinnamon on the palate, with the sherry notes giving off an aromatic presence. Lingers slightly. On the nose, smooth vanilla produces a slight sweetness aroma that becomes emphasised on the palate. A blend of walnut and butter mix well but result in very little after-taste. Short offering. 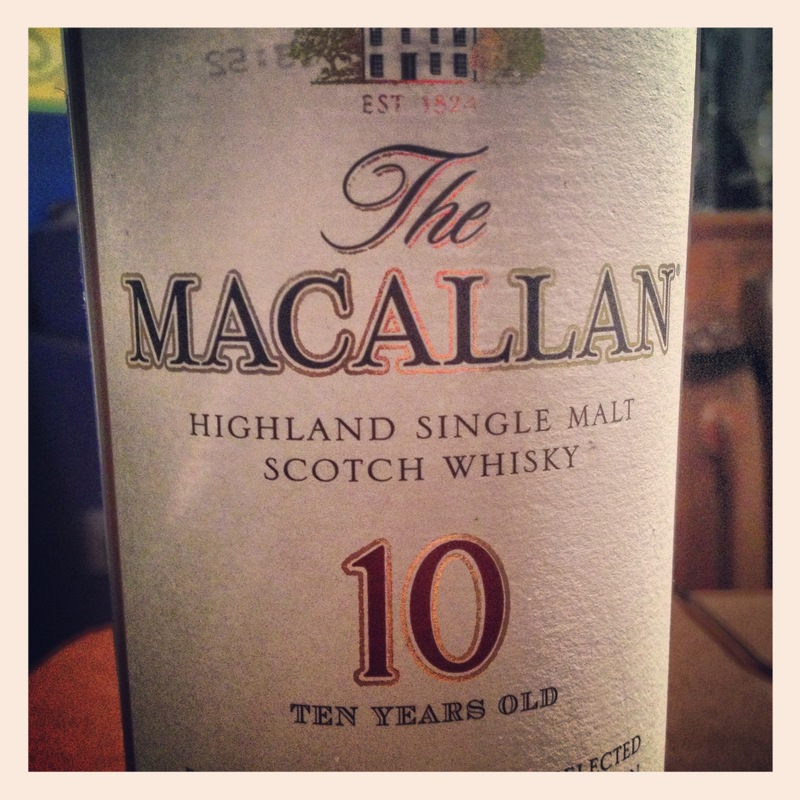 If you ever get the chance to try The Macallan range then take full advantage. Some of the expressions are worth the money, but prices can easily put you off. Try the Whisky Festivals where I tried most of the above, perfect opportunities. to 2 weeks, sooner if more time is dedicated to these exercises.